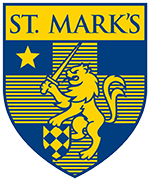 St. Mark’s School of Texas is a nonsectarian, college preparatory independent day school for boys in grades 1-12. The Charter states that the school is “designed to afford its students well-rounded physical, intellectual, moral, and religious training and instruction.” The St. Mark’s Board of Trustees intends for the school to be a diverse community of teachers and students who share a love of learning and who strive for high achievement in whatever they undertake. Challenging studies in the Sciences, Arts, and Humanities form the basis of a St. Mark’s education. Teachers work to instill an enthusiasm for learning, to encourage independent and critical judgment, and to demonstrate the methods for making sound inquiries and for effective communication. To complement this academic experience, St. Mark’s offers boys a rich variety of opportunities for involvement and leadership in the school community and on its playing fields, to realize their potential, rewarding those who strive as well as those who achieve. St. Mark’s aims to prepare young men for assuming leadership and responsibility in a competitive and changing world. To this end, the school professes and upholds certain values. These values include the discipline of postponing immediate gratification in the interest of earning eventual, hard-won satisfaction; the responsibility of defending one’s own ideas, of respecting the views of others, and of accepting the consequences for one’s own actions; and an appreciation for the lively connection between knowledge and responsibility, privilege and the obligation to serve.